Who are the St Pete MAD DOGS? 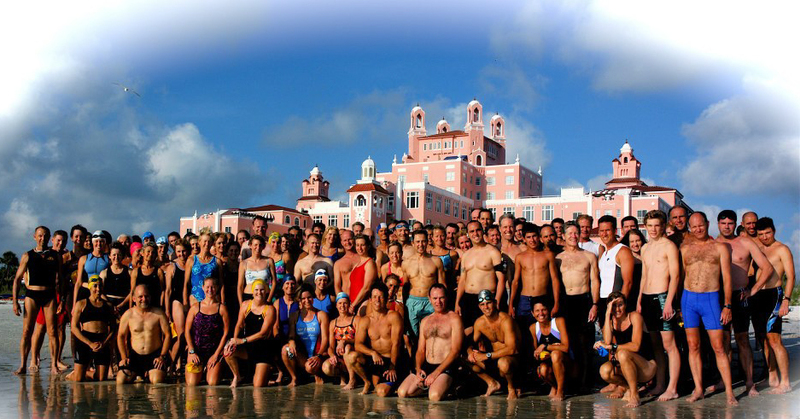 The St. Pete Mad Dogs are a Not-For-Profit organization comprised of roughly 3000 triathletes, making us one of the largest pure triathlon clubs in the country. We believe that once you do one triathlon, you’ll do more and do better. To that end, we provide daily show-and-go training in the Tampa Bay Area as well as race support and social networking. Whether you have completed multiple Ironmans or are contemplating your first triathlon, you’ve come to the right place. We include all levels of experience and expertise. We also have an extensive network of coaches, discounts, and excellent relationships with race organizations and charities. We hope you’ll come back to the site to check our upcoming events, and if you’re not a member yet … we can fix that here. Whether you have completed multiple Ironmans or are contemplating your first triathlon, you’ve come to the right place. We include all levels of experience and expertise. We also have an extensive network of coaches, discounts, and excellent relationships with race organizations and charities. Become a member today! Have something you want to share or discuss with other members? Login and share your thoughts on our Forums Page!